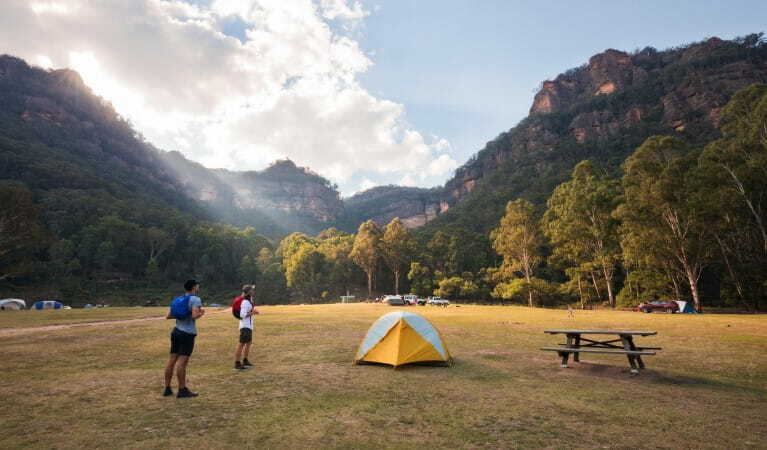 Relax in dramatic surrounds at this free and car-accessible campground by the Wolgan River in World Heritage Wollemi National Park, just north of the Blue Mountains. 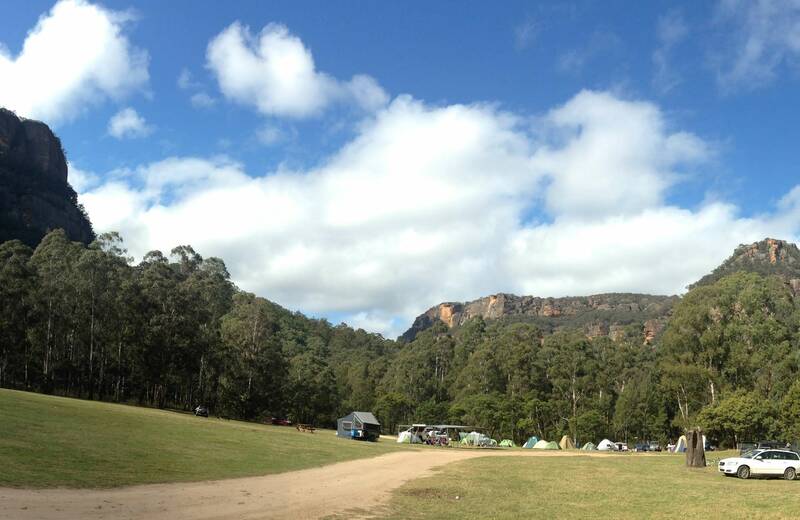 Camping is very popular during school holidays, and sites may be scarce. Sites are allocated on a first-come, first-served basis. Welcome to Mother Nature’s amphitheatre. 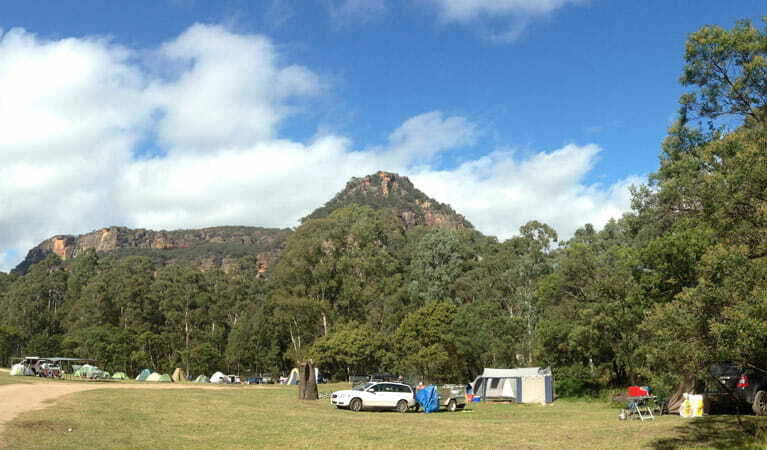 Dramatic sandstone cliffs and proud eucalypt trees make for a majestic backdrop at this beautiful, grassy, flat campground by the Wolgan river. Pitch your tent for free and enjoy a picnic under the trees before heading out to explore the tracks, tunnels and ovens of the historic shale oil ruins nearby, or cool off with a paddle or lilo in the river. There are easy walks for taking in the dramatic scenery. 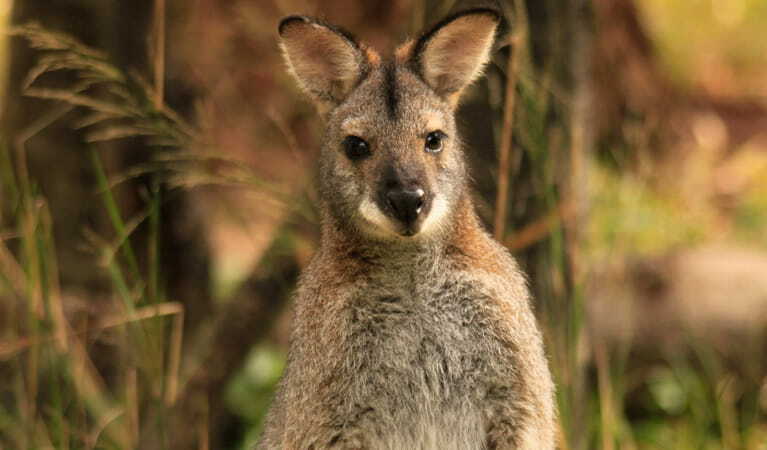 Enjoy a fascinating journey back into the past on Newnes Industrial Ruins walk, and kids will love visiting the luminous Glow Worm tunnel, just a short drive away. 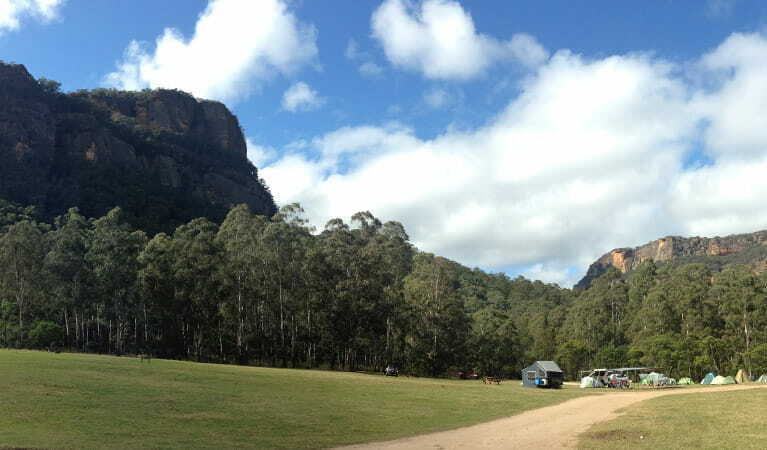 You can also camp on the other side of the river; however you can only access this camping area by foot or 4WD across the ford near the Newnes Hotel.